Residents in Terenure have called on the Constituency Commission to reunite the village which is separated by electoral boundaries currently in place. RESIDENTS OF A suburb in south Dublin have asked that their neighbourhood be moved into a different electoral constituency as they believe local TDs do not represent their middle class concerns. 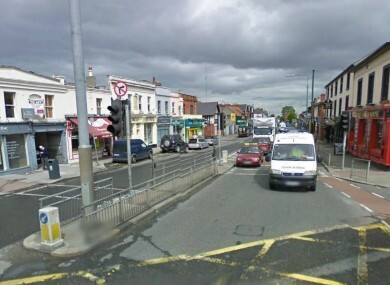 The Association of Residents of Terenure (ART), representing around 300 households in the northwest of Terenure village, has written to the Constituency Commission – the body currently reviewing electoral boundaries in Ireland – to ask that their neighbourhood be moved from Dublin South Central to Dublin South East. “The current constituency boundary has left us at a great disadvantage because the make-up of the public representatives who have been elected to our constituency do not, in general, seem to feel they represent the ‘middle class’ suburb of Terenure, and instead draw their support from, and give their attention to, the western part of the constituency,” their letter states. Dublin South Central currently includes areas like Crumlin, Dolphin’s Barn, Ballyfermot and Inchicore while Dublin South East includes Rathmines, Ranelagh, Rathgar and Donnybrook. ART believes it is being cut off from Dublin South East with which it has a “natural association” with and states that it has no “logical affinity” with Dublin South Central. The complaint also focuses on the village being effectively split into two electoral areas which leaves it “inadaquately serviced by both” constituencies. Residents say “the fabric of the village, and therefore of our community, is threatened as a result”. The letter calls on the Commission to reunite the village as part of its review and echoes a number of other submissions regarding the leafy suburb that were submitted to the Constituency Commission, the Irish Independent reports today. Speaking on RTÉ’s Morning Ireland earlier today, Terenure Residents Association chairman Jim Dowling suggested that the two constituencies each become areas with four TDs each. “Our primary motivation is to have Ternure in one constituency. At the moment the dividing line runs right through the middle of Terenure village, dividing even the village in two,” he said. He indicated that was logical that reuniting the village would mean that some areas would have to move to Dublin South East, which currently has four seats, from Dublin South Central, which has five, and not the other way around. Explainer: How are Ireland’s constituencies being redrawn? Email “Residents claim TDs do not represent 'middle class' in Dublin suburb”. Feedback on “Residents claim TDs do not represent 'middle class' in Dublin suburb”.